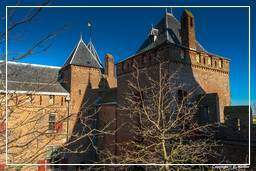 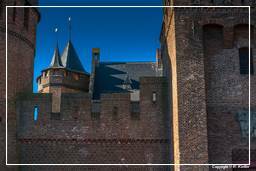 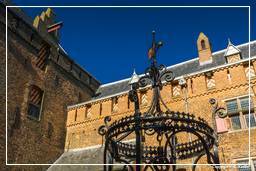 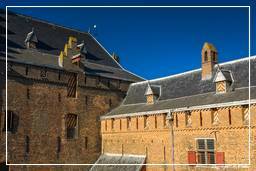 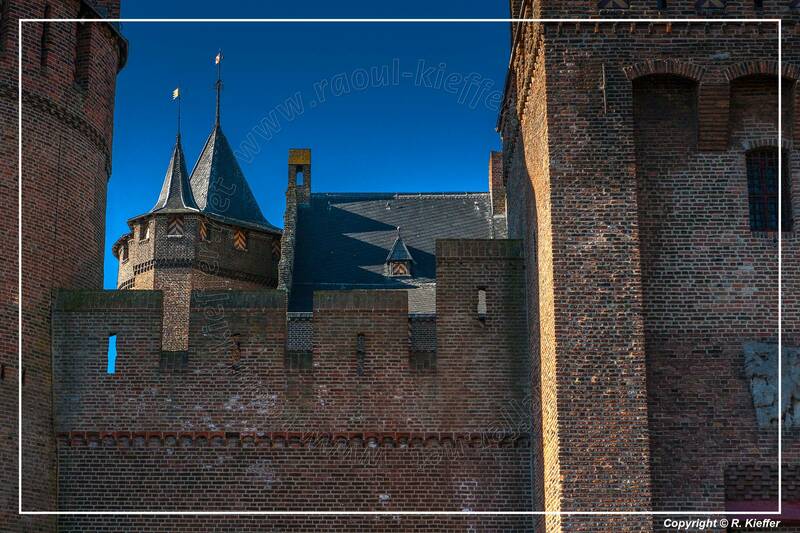 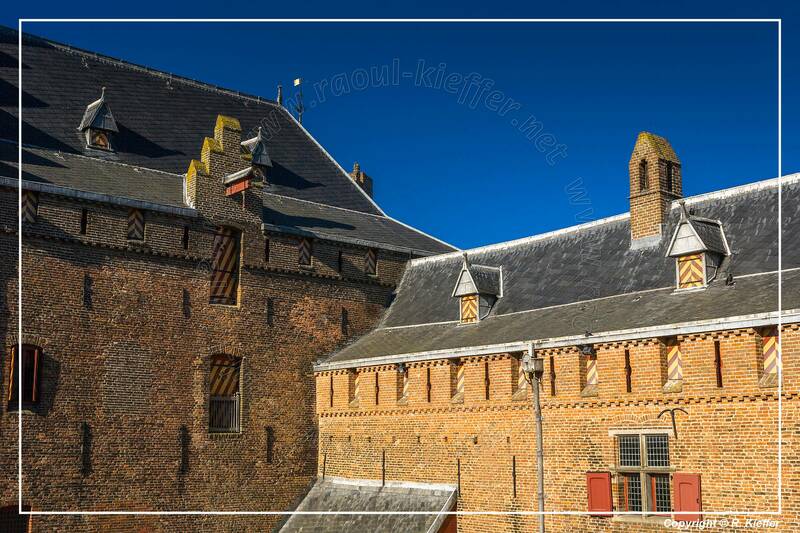 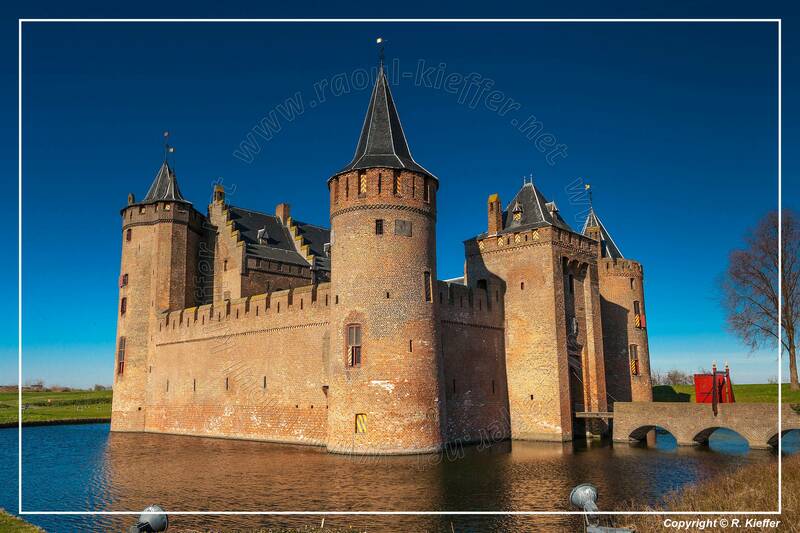 The Muiderslot is a castle in the Netherlands, located at the mouth of the Vecht River, some 15 km south-east of Amsterdam, in Muiden, where it flows into what used to be the Zuiderzee. 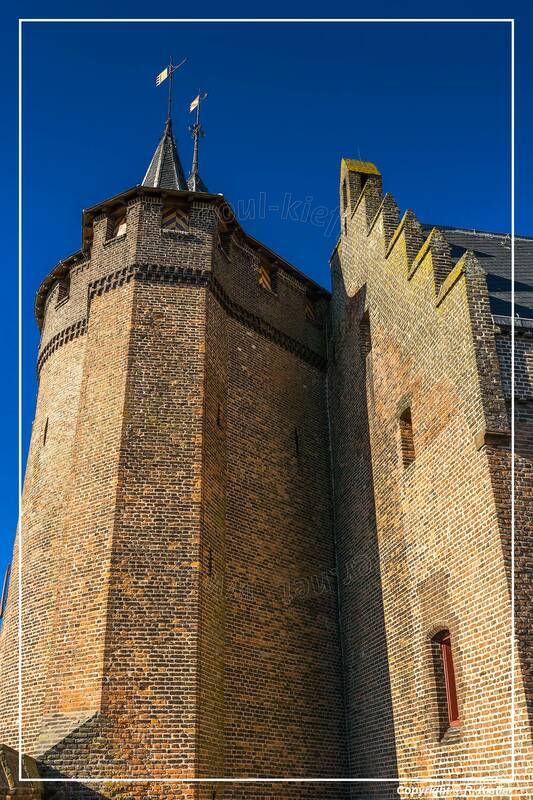 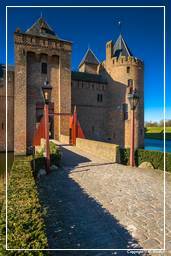 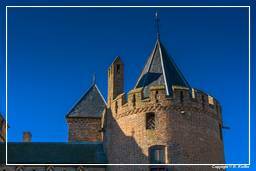 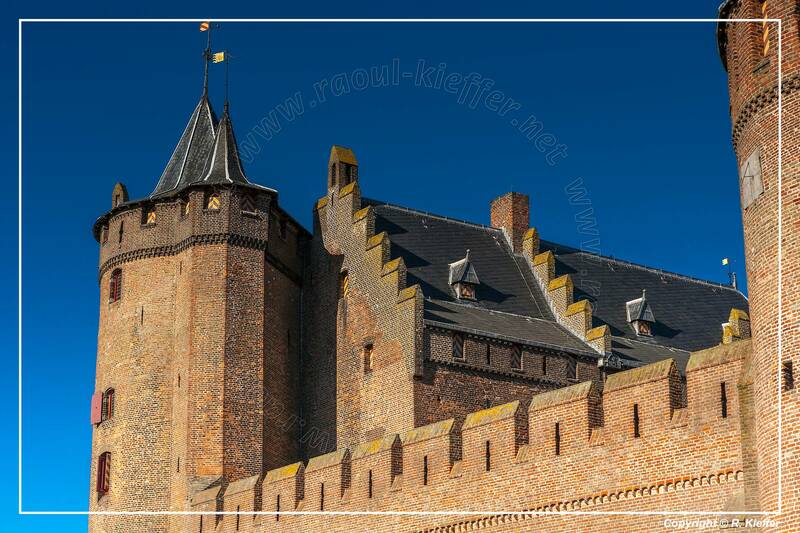 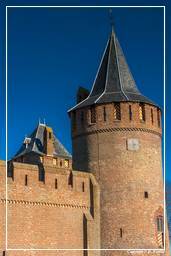 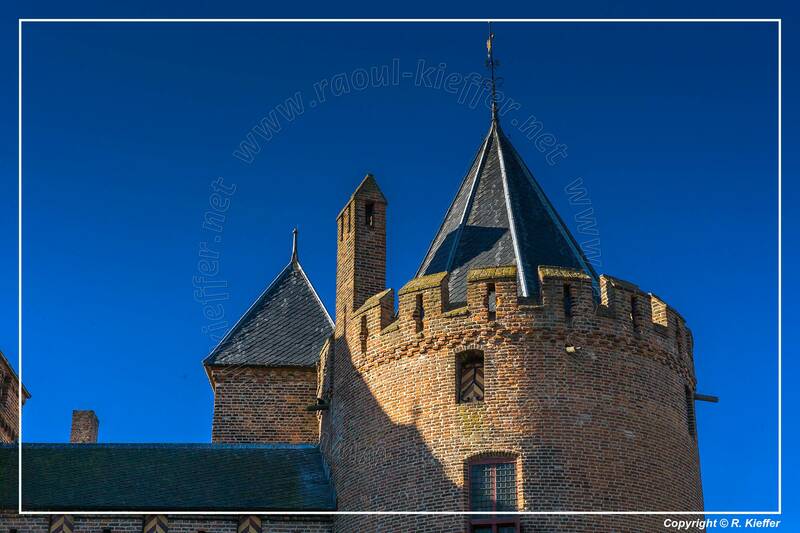 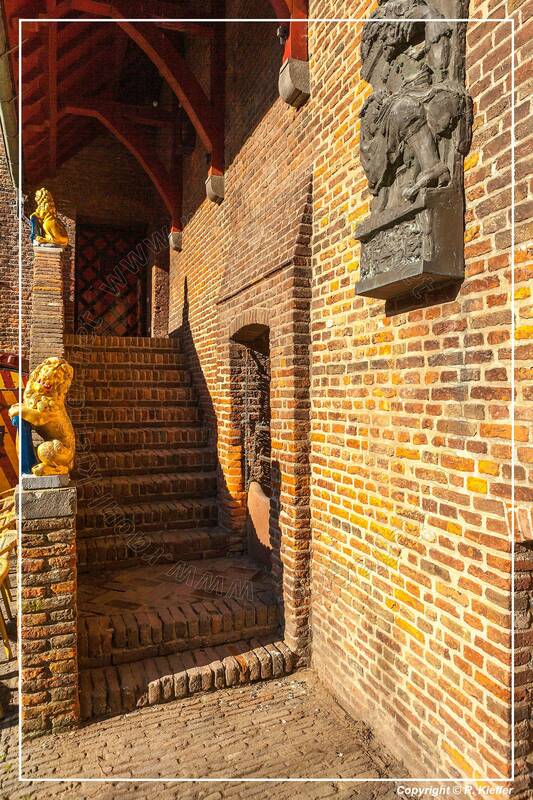 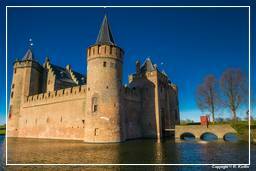 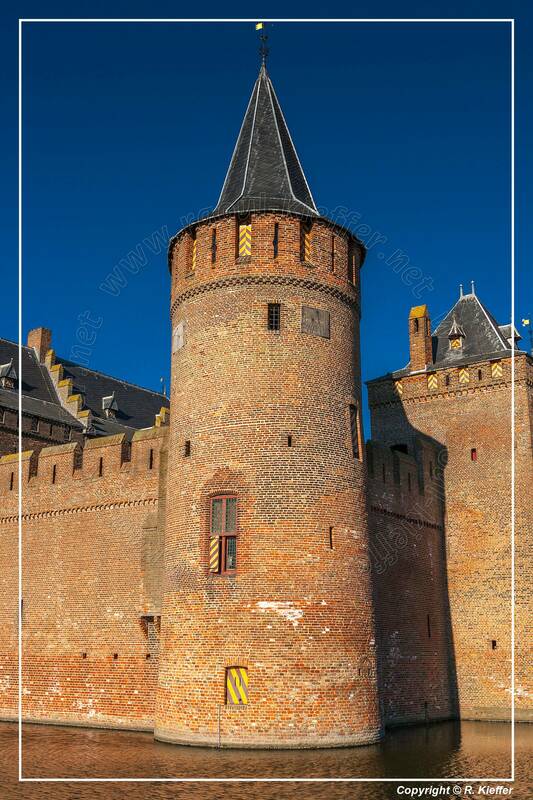 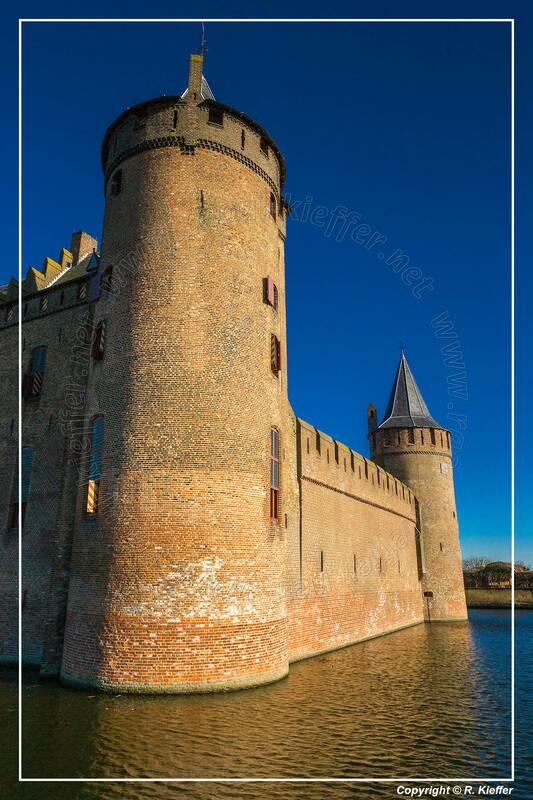 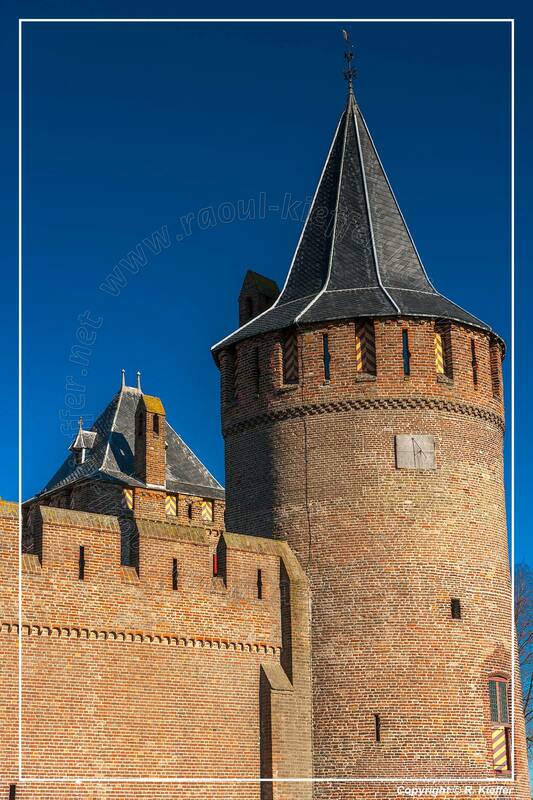 The history of the Muiderslot (Castle Muiden, where muiden means rivermouth) begins with Count Floris V who built a stone castle at the mouth of the river back in 1280, when he gained command over an area that used to be part of the Sea of Utrecht. 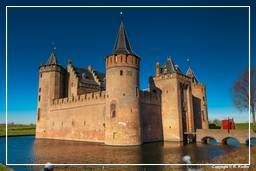 Later, in 1370, the castle was rebuilt on the same spot based on the same plan, by Albrecht, Duke of Bavaria, who at that time was also the Count of Holland and Zeeland. 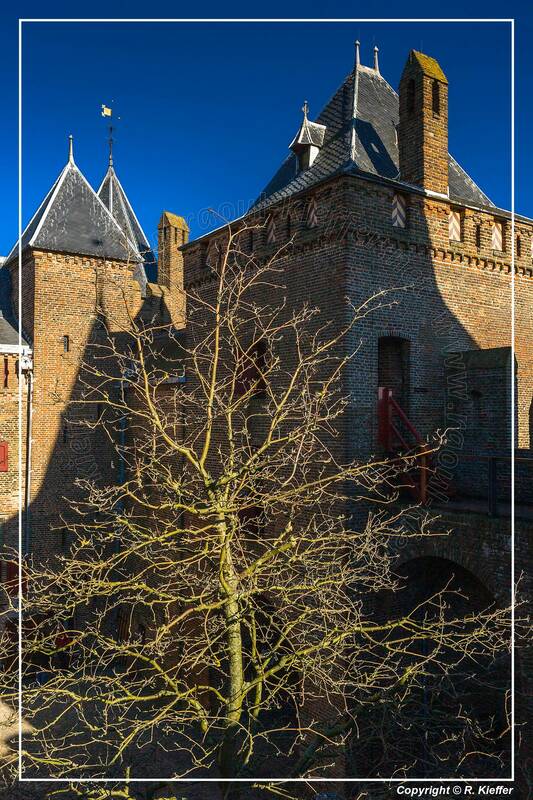 At the end of the 18th century, the castle was first used as a prison, then abandoned and became derelict.